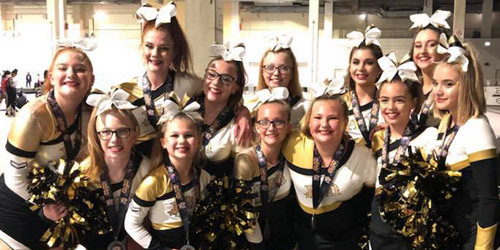 Each Spring and Fall semester we hold a special cheer clinic for JV and Varsity students to learn about the cheer program. Uniforms can be purchased at discounted prices available only at the clinic. Students love participating in this “cheer specific” specialty class. 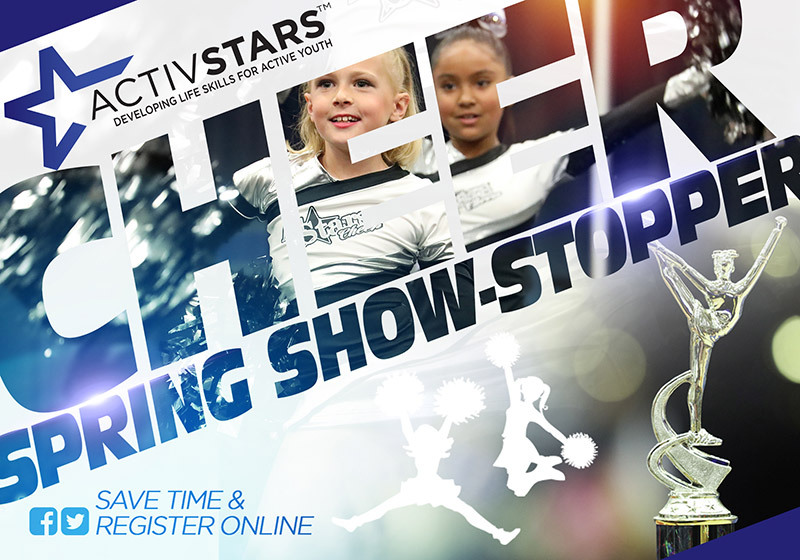 ActivStars cheer students are invited to attend our showcase and demonstrate their skills at the Show-Stopper end-of-semester event for Spring and Fall cheer practices. 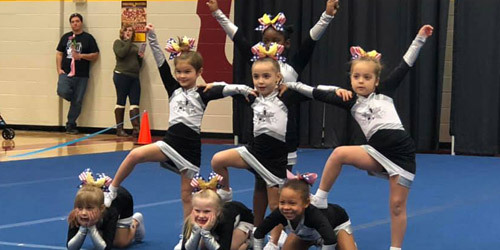 Students will perform with their teams alongside other ActivStars teams and can even earn the chance to participate in a Quad-State Cheer Competition. Contact us for more information. Students with perfect attendance are invited to try out for twenty different pom awards to teach them about school tryouts. These are designed to give students something to reach for and are typically held prior to the final lesson. See your coach for more information.